They are fun little diversions but I almost never post my scores, and sometimes my scores are quite noteworthy. It’s enough knowing I can identify twelve of the fifteen world capitals from a single picture. 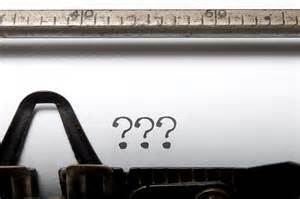 For the past several weeks, though, there has been circulating on Facebook a challenge to “name the ten books that have had the most meaning to you”, or something like that. I don’t know the exact wording because no one has shown the slightest interest in my ten books, and therefore no one has posted this to my page. I have friends who have posted their books and then challenged several of our other friends to list their ten books. I read their lists with interest and enjoyment and, finally, disappointment when I realize my name is not on the new challenge. It doesn’t bother me, but my pals should know that I have 750 words, every week, right here to do with what I please. Here, then, in no particular order, is a list of ten books that have significance for me. 1. “Slouching Towards Bethlehem,” by Joan Didion. This is a series of essays and articles she wrote during the Sixties. Every essayist should own this book. Non-fiction writers should include her in their evening prayers. 2. “One Hundred Years of Solitude,” by Gabriel Garcia Marquez. Besides sounding so cool when I say his name, it was this book and Marquez who introduced me to magical realism, and he did it so deftly that I didn’t even know what was happening until someone explained it to me. 3. Any Nancy Drew mystery. 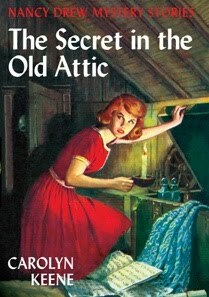 Carolyn Keene was, in fact, a pseudonym for a host of ghostwriters for the series. Nancy had it all-a roadster, freedom, talent, two pals and a sometime boyfriend to mess around with her and help her solve crime. 4. “To Kill a Mockingbird,” written by Harper Lee. I knew, even as a kid, that in this book every word worked. It was a big story, too, although when I first read it I was too young to fully appreciate that. 5. 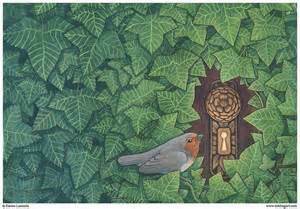 “The Secret Garden,” by Frances Hodgson Burnett. I read this as an adult, but loved it like a child, reading to myself but hearing my grandmother’s voice. 6. “A Christmas Carol,” by Charles Dickens. I read it almost every Christmas season. It is a joy to be able to finish one of his books in a span of less than a month. 7. “101 Famous Poems.” My mother had a slim and leather-bound copy in the living room bookcase, and I read it cover to cover and back again. I loved the poets’ pictures, set in ovals like cameos. When my siblings got on my nerves or I got on my own, I retreated to the living room and spent a quiet hour reading poems and thinking deep thoughts. 8. “The Inheritance of Loss,” by Kiran Desai won the Man Booker Prize, and I loved this book, even before I knew it won an award. I have recommended it to many friends, most of whom have tried to read it and didn’t like it, at all. Which might explain why it is no longer in print. Even so, I found the story compelling, with threads of India, Great Britain, Nepal and New York City running through it, and the writing breathtaking. But that’s just my opinion. Apparently. 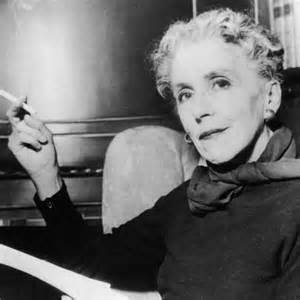 9.“Out of Africa,” by Isak Dinesen. It was one the few books in which I have underlined passages and I return to them again and again. Sometimes it is just a sentence. Sometimes a paragraph or more. Just stunning writing. 10.“Me Talk Pretty One Day,” by David Sedaris. Because it made me laugh, out loud, and all over the place. That concludes my list of ten books. Let’s hope something interesting happens for me to write about before next week, because there is also a challenge circulating about one’s twenty favorite movies. I’d like to spare you that. If you have been paying attention at all, you know that sitting is the new smoking. It doesn’t take a mental giant to know that sitting too much is not good for you, but the new smoking? That is extreme. Except that maybe it isn’t. When we think about the soaring obesity rates among children and then think about how much time children spend in front of video games, it makes some sense. I know what you are thinking, you are thinking, Greta, it is because they are not exercising, period, not just because they are sitting. But new research suggests otherwise. According to recent studies—and there have been a slew of them—sitting for hours a day will shorten our lives, age us, and make us vulnerable to all sorts of health issues, from cancer to diabetes to obesity. And further, even if you run regularly, exercise hard, you are still at risk if you come home and flop of the couch after your hour run. 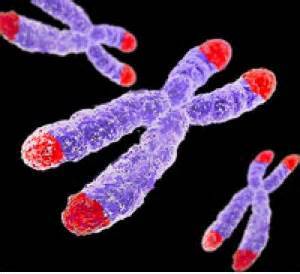 Sitting for periods of time triggers signals in the brain to reduce certain enzymes, it messes with our insulin, and it frays the little end caps of our chromosomes, called telomeres, and this speeds up aging and disease. Even working out regularly at the gym is not enough, since many of us are sitting for hours on end at the office, at home. When our big muscles, like our legs, aren’t working, then our metabolism slows down. In essence, we are built to move much, much more than we do, and the fix is actually easier than you think. Stand up more. Just that. Make yourself do it. 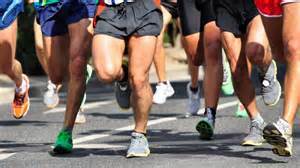 Standing for just three hours a day for a year can have the same calorie burning impact on us as running ten marathons. One British journalist decided to stand for an entire month, all day long, every day, unless she was involved with something that absolutely required sitting, like driving her kids around. She lost two dress sizes, although she reported that she made up excuses to take the kids places, just to sit for a little bit. Her doctor said that she was silly to attempt that all in one fell swoop, because it can be bad for your back and joints and feet to shock them so, but still, she made her point. I wrote in this space a few columns back, about all the fitness bands I have purchased and I gave the impression I wouldn’t buy another one. Well, I lied. A week after that column ran I went out and purchased the Polar Loop because my friend, John, has one, and I thought it was cool, and my friend, Susie, also has one and I think she is cool. This really is the fitness band for me for these reasons. It is super light and comfortable, and I think it looks really good, not so obviously sporty, although upon seeing it, someone asked me if I was on house arrest. What I like about it is this. It gives me non-athlete, information I can embrace. It tells me when it is time to move, and it also gives me suggestions for reaching my fitness goals for the day. I can jog for 45 minutes, I can walk for an hour and a half, or…wait for it…I can stand UP for three hours and fifteen minutes. That’s right. Just being upright chips away at my goal. The little manual that came with it even gives suggestions—dusting, cleaning, baking. Baking! Part of a legitimate fitness regime! When I sync my Loop to the computer, it shows me how much time I have spent in bed, sitting, walking, running, and upright. It is shocking to see how much I sit. Even on days when I am active, all that sitting. I have a colleague who has rigged up a standing desk and I am working on doing the same. I can’t quite figure it out, but I will. I have been whittling away at the number of hours I spend sitting, but it is harder than you would think. It is liberating to think that doing even light chores is part of my fitness plan. Research has told us for years that we are built to move, walk five miles a day, eat what is naturally provided, get some sun. And now we we can all be marathoners without ever actually running one. Right now I covet her boots. Those boots, the black boots she wears as she goes about her duties as the cop in charge of Happy Valley…a valley that is beautiful, but not so very happy, populated as it is with folk–mostly young ones –living lives of drug-addled desperation. 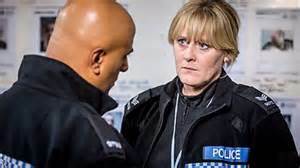 I have spent hours on line trying to find the exact boots that my new hero, Sarah Lancashire, as the no-nonsense, middle-aged police sergeant, Catherine Cawood, wears to work in Calderdale, nestled in west Yorkshire. It is Calderdale that gives us the ironic name, Happy Valley, something the local police call their town because of drug problems there. 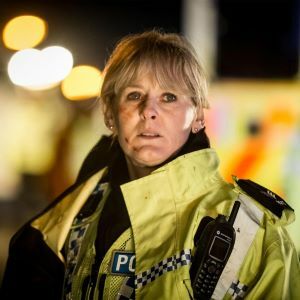 “Happy Valley,” you must know by now, is the newest offering on Netflix and was the most talked-about show in Great Britain when it first aired in April, 2014. 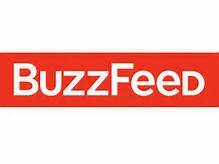 It is now one of the most talked-about shows this side of the pond and with good reason. It is so very, very good. Or to use their word over there, brilliant. 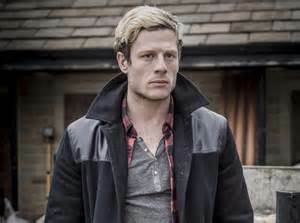 This six-episode BBC production, written by Sally Wainwright who also writes “Last Tango in Halifax,” had over six million Brits tuning in and biting their nails each week, and now, lucky us, we can binge watch it to our hearts content and bite our nails, too. In this role, she is sweet and supportive, loving and sometimes at a loss, and I am thrilled to have a reason to really like her—the character and the actress–after all the torment O’Brien put us through. 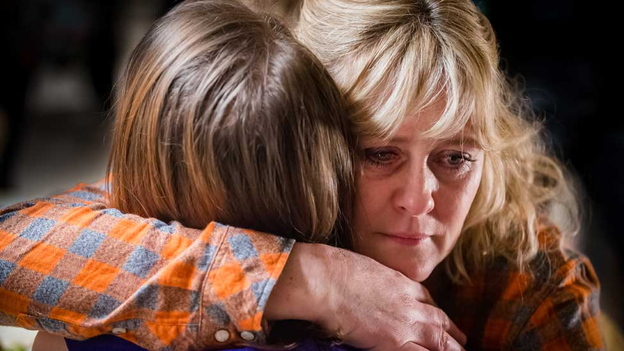 The plot of “Happy Valley” centers around Catherine and her life eight years after the suicide of her daughter. She gets up every day and does a difficult and physical job, and she does it as a strong woman, not the caricature of the strong woman we are often treated to in the US entertainment industry. She is kind, funny, and a good cop. She can also knock open a door with her shoulder and runs after a drug-selling ice cream truck, which of course she doesn’t catch, but she looks like s he might, were she a bit younger. She pulls smart aleck smack-heads out of their cars by the fronts of their jackets, young males bigger than she. 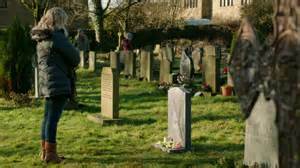 And we believe it, believe it all, because this is not a jiggly kind of cop show, because Sarah Lancashire as Catherine is substantial and fierce in her fleece jersey and hi-vis vest. Then she goes home, worn out, and reads to her grandson, and we believe that, too. She carries the show on many levels, because, ultimately, it is her character’s story. She gives us Catherine in a package we want to receive. In a strong but nuanced performance she shows us how Catherine moves through her day with competence and good humor, and we see with the subtlest of expressions the grief she still carries and the obsession that burns for Tommy Lee Royce, the man she blames for his part in her daughter’s death. And we we understand it, or want to, because we care about her now, and we feel a little like Clare, making pizzas while holding our breath, hoping Catherine can keep it together when she discovers that Royce is now out of prison. Even so, this is no stoic repressed cop. Catherine is all business. Yet, when life’s events overtake her, she cries, and freely, and she is a more compelling character because of it. She cries as she should, as we all would. Many reviews of “Happy Valley” refer to Catherine as a flawed woman. Too easy, I think. Catherine as Wainwright has written her and Lancashire portrays her is this–deeply human, a person suffering and persevering. Committed, ultimately, to doing the right thing. I’d like to think that Catherine Cawood is out there keeping me safe. And I’d like to know where she got her boots. For the first time in a long time I am sitting in front of the computer with a mind as blank as the page before me. Everything going on in my life right now bores me. It’s hot and I complain, even though in summers past we have been treated to this miserable weather for weeks on end, unlike this summer where it has had the good grace to show up right at the end, and isn’t all that awful, longevity-wise. It arrives just as I rededicate my life to walking, so a new plan is in order. I have mapped a little chart that has me walking four blocks, then six, followed by eight, until such time —along about February—when I can clock a couple of miles, no sweat. Even so, I wait until almost dark with I think it will be cooler, but, of course, it isn’t. If I were totally honest—which I hate to be, by the way—I might confess that I walk at dusk so you can’t see me, huffing and stumbling a little. I tell myself I am old, and need to pace myself, and so far it is working. All two days of it. I have devises sort of my own little “couch to 5K” program, tailored around my slovenly but comforting ways. Also, I am bored with books. At least the ones lying about around here. 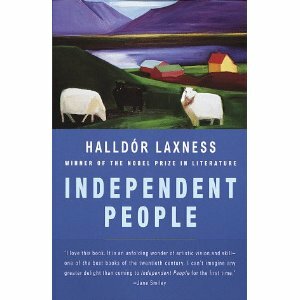 On a hot and steamy car ride my pal, Janice, mentioned a couple of Icelandic mystery writers. In my ennui I summoned up Amazon and ordered three of their books, due to arrive later today. The ordering gave me no pleasure. Nor does the prospect of a package excite me and I feel like a character in a Fellini film, all dour and drab in black and white, who sits around and discusses the existential angst of the postal service with someone just off camera, instead of a little kid who rushes toward the brown paper box resting on the doorstep, the one with her name on it. I’ve even stopped shampooing my hair. I know, I know, you just had a little rigor right there, didn’t you? So did I when I saw the first articles pop up on-line about celebrities and ordinary folk who haven’t shampooed their hair in months, years. For all the scintillating titles, as you delve into the article you will discover that it isn’t that these women—for it is always women—are not washing their hair, it is that they are not shampooing their hair. Shampoo, apparently, is a vile and destructive thing, with ingredients like paraben and sodium lauryl sulfate, which is found in industrial chemicals, and all of it wreaks havoc on our hair and scalp. Shampoo strips our hair of natural oils and that necessitates the use of conditioner to vainly attempt to replace them. Then, according to the “no poo” web sites, this sets up a vicious cycle in our systems with our bodies over-producing oils to make up for the damage we have done, and if we just left everything alone, our heads would produce, after a time, the perfect amount of oil to give us luxurious and voluminous hair. Frizzy hair will be tamed, lank hair will be revitalized and bulky with body. So, yes, in my boredom, I have done this, am still doing it, in fact. The thinking goes like this. We need to restore the proper pH balance and this is achieved by the use of two available–and cheap–household products, baking soda and apple cider vinegar. First, make a mix up soda and water in a glass and work that into your hair. You won’t get suds, obviously, but done right, your hair will feel, if not squeaky clean, at least squeaky. That right there is your alkali. 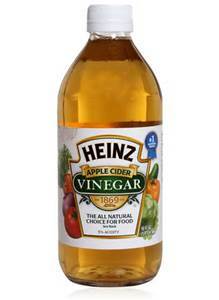 Follow this with the same amount of apple cider vinegar and water, rinsing as you go, keeping your eyes closed because vinegar is an acid. If you should forget and open your mouth, no worries, it tastes a little like salad dressing. They say it can take a while to see the full effects but I don’t know. I had dinner with my mother the first day I tried it, and she said she thought my hair had more body. Thanks, Mother. Perhaps my boredom is paying off.